Pooch Perks Unboxing: New Year, New You! DISCLAIMER: HENRY AND I ARE MONTHLY REVIEWERS FOR POOCH PERKS AND RECEIVE A PAMPERED POOCH BOX IN EXCHANGE FOR OUR HONEST POOCH PERKS REVIEW. WE ARE ALSO AFFILIATES AND EARN A SMALL COMMISSION IF YOU MAKE A PURCHASE THROUGH ONE OF OUR LINKS. It’s a new year, and Pooch Perks wants to help your dog start it on the right foot with their “New Year, New You” box. It’s packed full with healthy treats, toys that promote fun and exercise, and shampoo to help your pup make an awesome first impression. 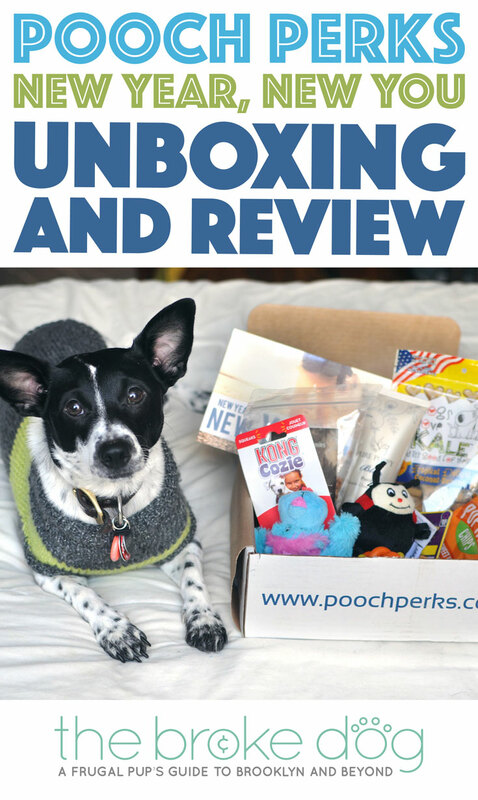 Check out what we received in our January Pooch Perks Unboxing and, in addition, save 10% off your own box with code BROKEDOGBLOG! This shampoo is 100% natural, 90% certified organic, 100% biodegradable and free of chemicals, sulfate, preservatives, and artificial scents and dyes. As if that weren’t impressive enough, it’s also 100% vegan and cruelty free. That’s a bath we (ok, maybe not Henry) can feel good about! We all know that blueberries are good for humans, but did you know that they’re a source of antioxidants for dogs as well? 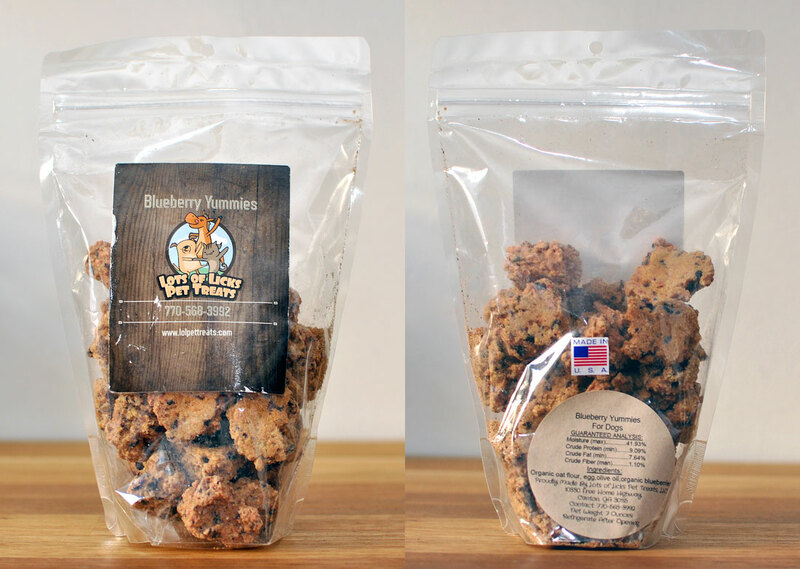 These treats contain these yummy berries, as well as organic oat flour and egg. They look delicious, too! 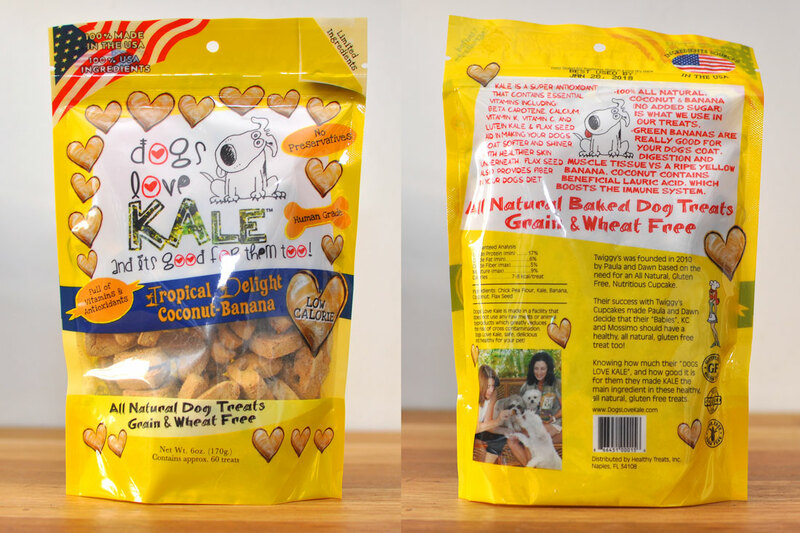 We teamed up with Dogs Love Kale for a giveaway a few weeks ago, and we’ve received them in past boxes, so I already know that Henry is going to love these! With green bananas and coconut in the ingredients, these treats will be the perfect winter escape. In addition, at only 7-8 calories per treat, Henry won’t have to take advantage of the New Year Introductory Special at the gym! This toy looks cute, is a great size for Henry and — wait for it — makes MUSICAL CHIRPY NOISES. What!? Henry has never had a musical toy before. I know this Ladybug is going to make some dreary January days a lot brighter! Is it weird that I want to try these myself? 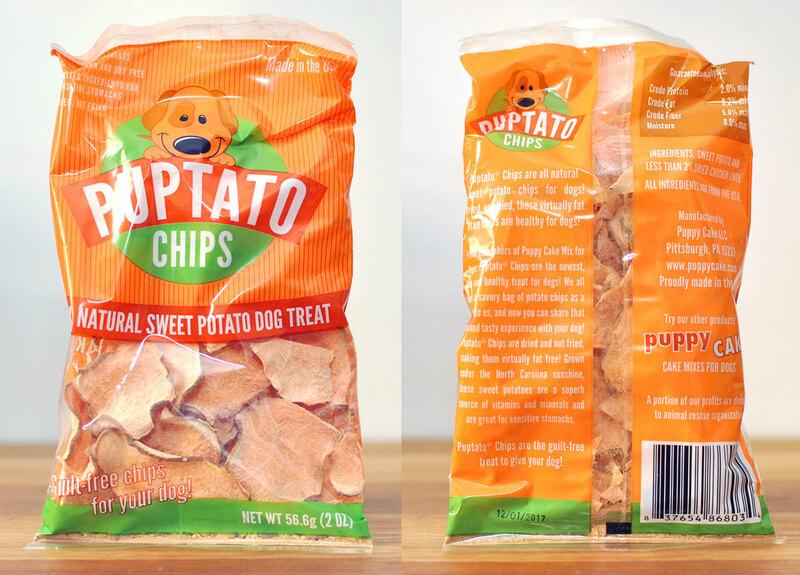 These chips are dried, not fried, and made from North Carolina-grown sweet potatoes. In addition, the company claims that’s they are great for sensitive stomachs and a great source of vitamins and minerals. Yum! Henry loves his Kong Cozie alligator, so I know he’ll love his new lion as well! 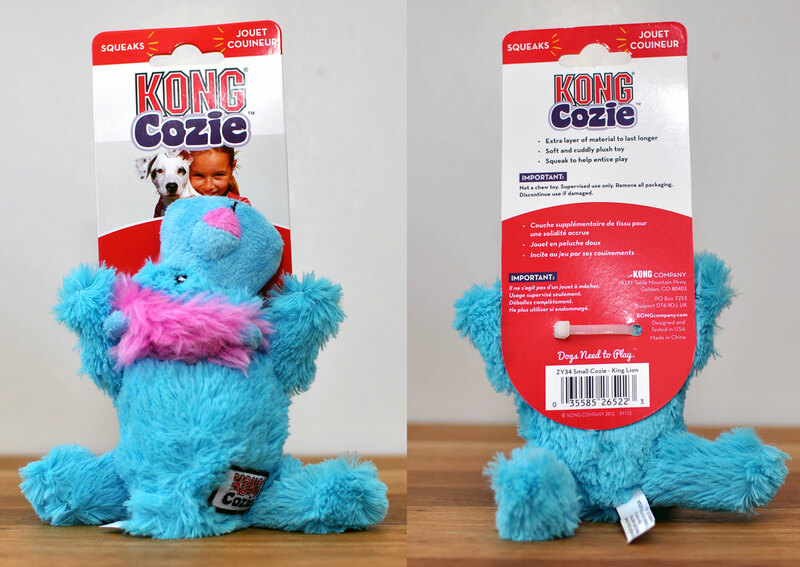 Kong Cozies feature an extra layer of material for longer-lasting, durable fun and have minimal filling to cut down on any indoor snow flurries (if you get my drift!). Plus, what dog doesn’t love a good squeak? Have a fabulous New Year! I know Henry will, thanks to his new Pooch Perks box! CHECK OUT MORE POOCH PERKS UNBOXINGS AND REVIEWS HERE! VISIT THE POOCH PERKS WEBSITE, GIVE IT A TRY, AND TAKE 10% OFF WITH CODE BROKEDOGBLOG! Pooch Perks Fifty Shades of Ruff Box + Pooch Perks Discount!